Focusing on practice more than theory, this collection offers new perspectives for studying the so-called “humoral medical traditions,” as they have flourished around the globe during the last 2,000 years. 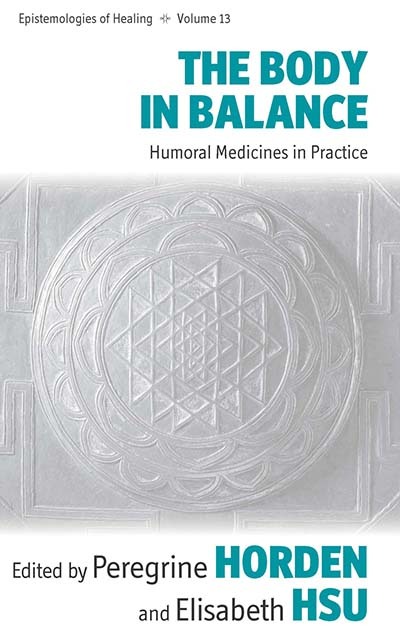 Exploring notions of “balance” in medical cultures across Eurasia, Africa and the Americas, from antiquity to the present, the volume revisits “harmony” and “holism” as main characteristics of those traditions. It foregrounds a dynamic notion of balance and asks how balance is defined or conceptualized, by whom, for whom and in what circumstances. Balance need not connoteegalitarianism or equilibrium. Rather, it alludes to morals of self care exercised in place of excessiveness and indulgences after long periods of a life in dearth. As the moral becomes visceral, the question arises: what constitutes the visceral in a body that is in constant flux and flow? How far, and in what ways, are there fundamental properties or constituents in those bodies? Peregrine Horden is Professor of Medieval History at Royal Holloway, University of London, and an Extraordinary Research Fellow of All Souls College, Oxford. He is co-author of The Corrupting Sea: A Study of Mediterranean History (with Nicholas Purcell, Blackwell, 2000) and author of Hospitals and Healing from Antiquity to the Later Middle Ages (Ashgate, 2008). He is also writing a general book on early hospitals for Yale University Press. Elisabeth Hsu is Professor of Anthropology at the Institute of Social and Cultural Anthropology of the University of Oxford, and Governing Body Fellow of Green Templeton College. Recent co-edited volumes include Wind, Life, Health (with Chris Low, Blackwell, 2008) and Plants, Health and Healing: On the Interface of Ethnobotany and Medical Anthropology (with Stephen Harris, Berghahn Books, 2010). Her most recent authored book is Pulse Diagnosis in Early Chinese Medicine: The Telling Touch (Cambridge University Press, 2010). Part I: A Body of What? Chapter 1. Female Fluids in the Hippocratic Corpus: How Solid was the Humoral Body? Part II: A Practice with What? Chapter 4. Were the Four Humours Fundamental to Medieval Islamic Medical Practice? Part III: A Balance of What?